You attend an evangelism conference. You get all emotionally jazzed and ready to implement what you’ve learned. But then, life gets in the way. Until the next evangelism conference. 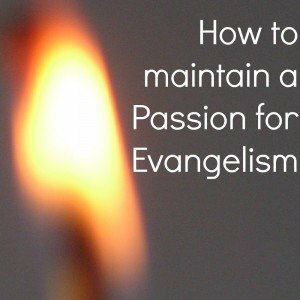 How then can you maintain a passion for evangelism? Read 15 more ways to keep your evangelism passion high. Another way I keep my evangelism passion high is prayer for my lost friends. Read these 7 ways to pray for your lost friends. 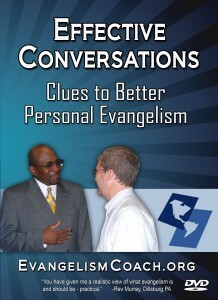 Do your evangelism skills need a little help? It is a recording of a live seminar I gave in 2012 aimed at helping you have more evangelism conversations to accomplish the second point in the above video. Many people get a little nervous evangelism. In this DVD set, I help minimize that nervousness by revealing some principles that can help you share your faith in a conversational manner.